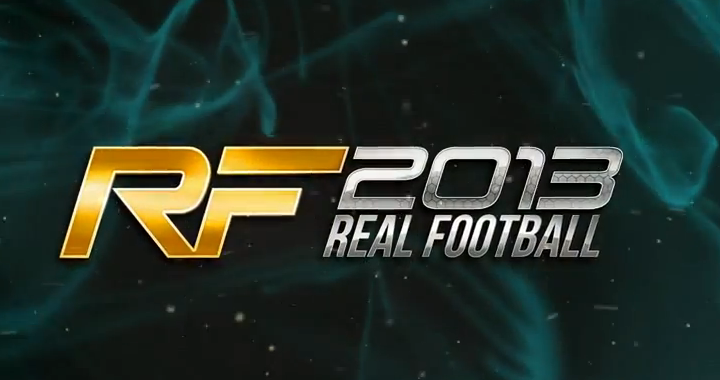 Real Football 2013 is a game made for Android devices, published by Gameloft, a Top Developer in Google Play. It requires android versions of 2.3 or higher. RF2013 has great graphics for an android game, and the players look adequately realistic, even though they still need some work on the faces to make players look real. The game can run smoothly on a Samsung Galaxy S2, and you can expect a great gameplay if you are using a samsung phone with some decent RAM such as 750MB+. However, this may run slowly on some tablets such as the Samsung Galaxy Tablet 10.1, giving the game some lags which can be sometimes annoying. The single player mode allows you to play different modes such as Cup, League, Scenario, Exhibition, Season Club Master or Training. The training mode can sometimes be annoying when it comes to free training, as it doesn’t give you the option of playing Team VS Opposite Team, you have to play Team vs Opposite Goalkeeper. This is a pain in the neck if you want to practice your team skills. The Season Club Master is a mode which can only be bought with ingame Money (which has to be bought), and offers you the ability where the goal is to build your team the way you want. The gameplay is great as you really get the feeling of playing in real life like a coach, with the players you like… and so on! This game offers a unique feature: the ingame editor. This editor allows you to edit scenarios, player names, teams, and players. This would be an ideal feature for every football game. That way, you can customize everything and enjoy different names for your players, new colors for your team, and even create players! I think this is a great idea to put in a game! However, this game being free always has a hook! Every free games which are awesome mostly have a hook, and that would be ingame purchases. In this game, if you want to get money and coins fast, you HAVE to pay for it, otherwise you won’t be able to enjoy this game. The prices are unrealistic and way overpriced for a GAME! Most games like this require you to pay to enjoy the whole game. This explains why there are so many hacks on the internet. The fact of having to purchase ingame money just ruins your whole experience in the game. My words for this game: This game is great and will always be, thus games like this always have disadvantages such as ingame purchases. Everything else is great such as the gameplay, graphics, everything is in-depth and allows you to enjoy the whole experience of football (of course, if you have the additional money to buy game-money!). People should really work on making great games such as this one without ruining it by exploding it with advertisements and ingame purchases. If Real Football 2013 would have done this, it would get a great 10/10 by me. In this case, because of the major disappointments of this game which I have stated before, I will give this game a 3.5/5 rating.